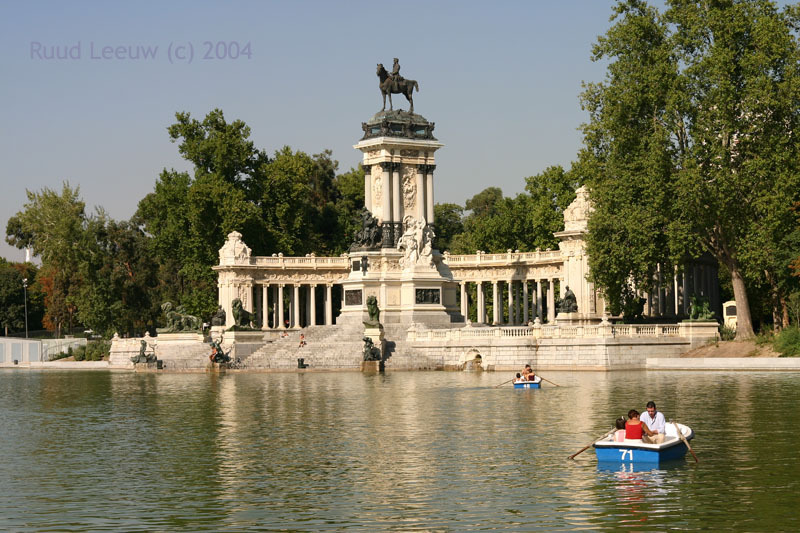 The "Parque del Retiro" is a large park and reminded me of Central Park in New York. It is an excellent place to escape the heat and traffic of the city. 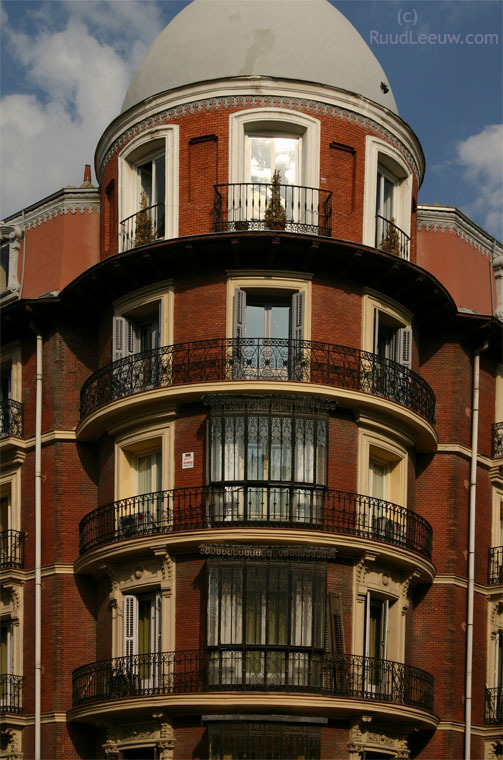 The actual site of Madrid has been occupied since prehistoric times, but Madrid as such is not mentioned in chronicles until the late 10th century. 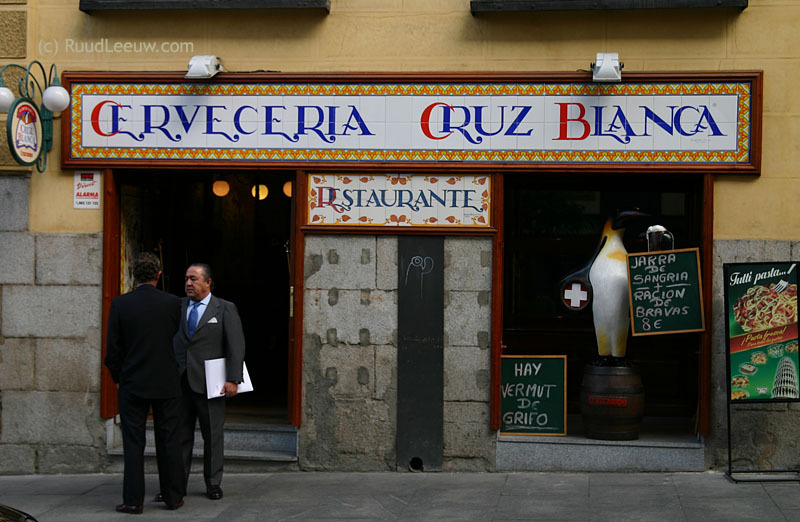 By that time it was occupied by the Moors, who named it Mayrit (later it changed to Magerit, then Madrid). 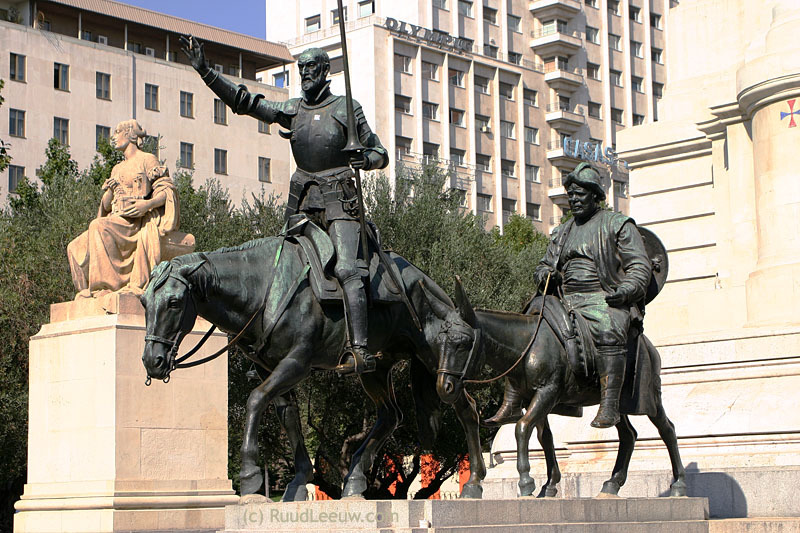 The Moors kept rule until Madrid was finally conquered in 1085 by Alfonso VI in his advance towards Toledo. 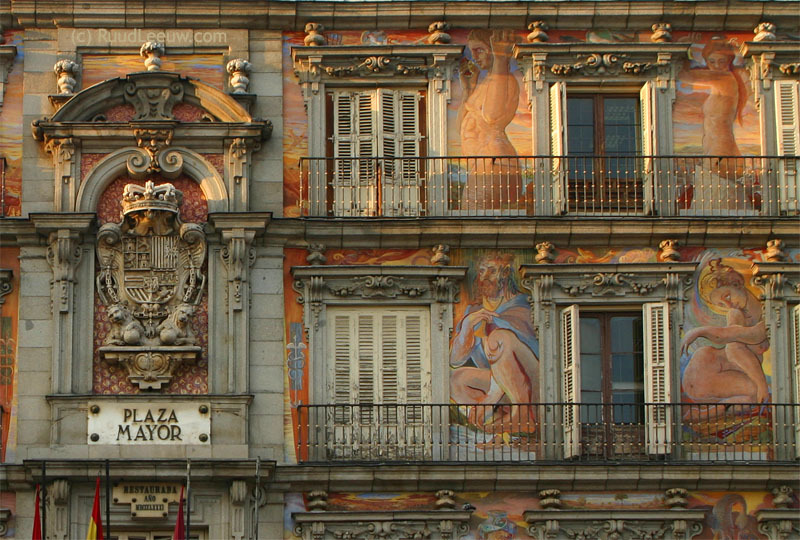 Emperor Carlos V was enamoured with Madrid, amongst other things because he managed to cure himself here of tertian fever. However, it was his son, Felipe II who moved the Imperial Court to Madrid in 1561 (as yet without making any official declaration). The population was around 25.000 then. 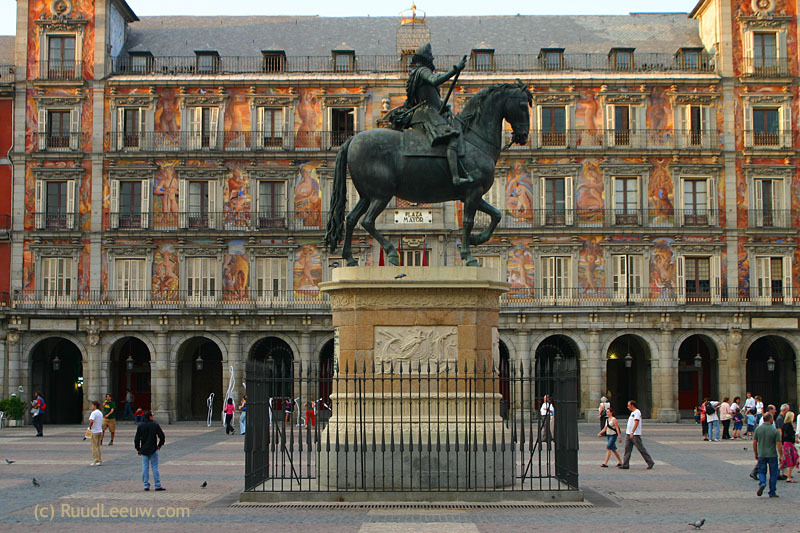 From this time Madrid was now the kingdom's capital, apart from the brief years between 1601 and 1606 when Felipe III installed his court in Valladolid. 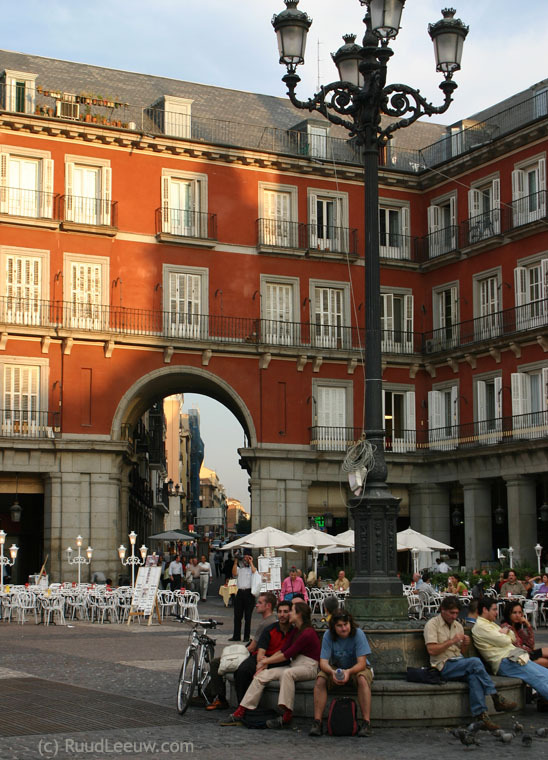 Madrid enjoyed significant changes during the 18th century, when city gates, bridges and new buildings gave it a new appearance. 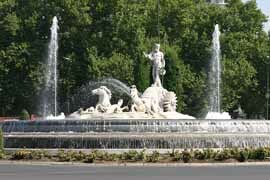 Palaces and other majestic buildings, museums on many subjects, pleasant parks, many bars and restaurants and an excellent public transport were key ingredients a wonderful stay we enjoyed in Madrid. 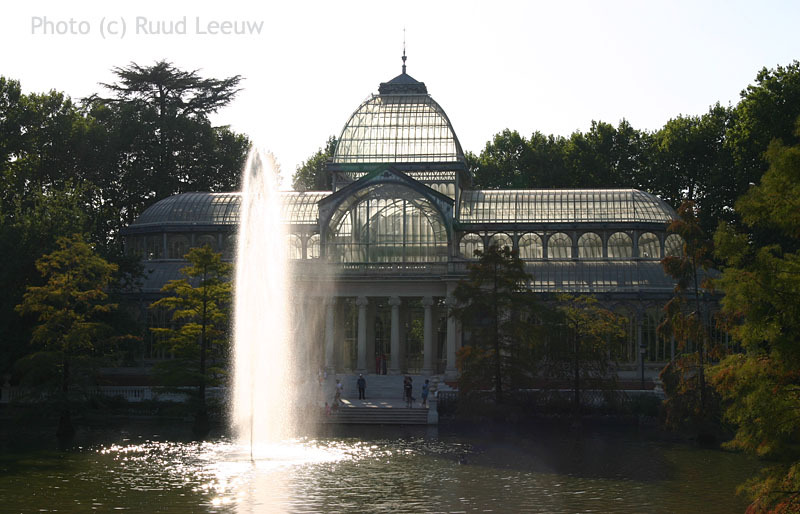 In the 17th Century the Parque del (Buen) Retiro was the privat park of the Royal Family; in 1869 it was opened to the public. 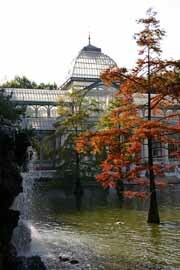 The Palacio de Cristal was built by Ricardo Velázquez Bosco and is inspired by the Crystal Palace in London; it was designed in 1887 for an exhibition of tropical plants and is now used for festivities and temporary exhibitions. 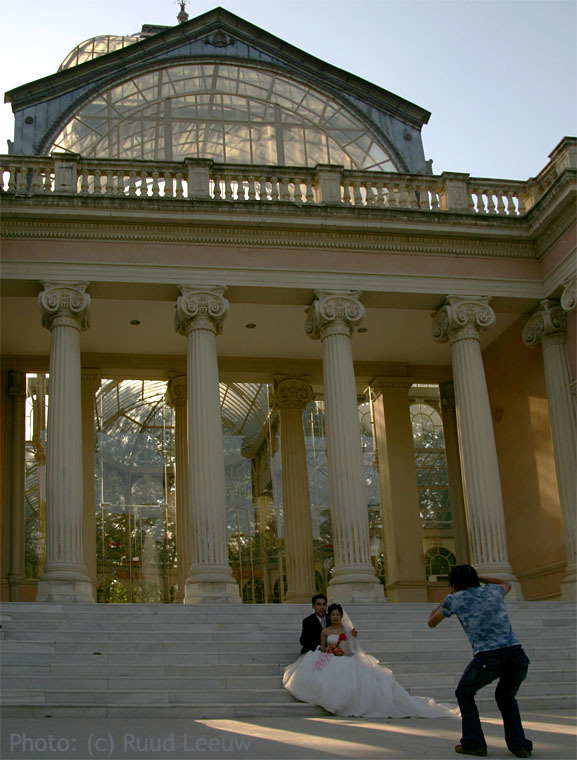 A nice place to take wedding photos ! Many Madrilenian families go for a stroll in the park and street musicians, sidewalk painters, fortune tellers, jugglers and street performers animate the crowds. 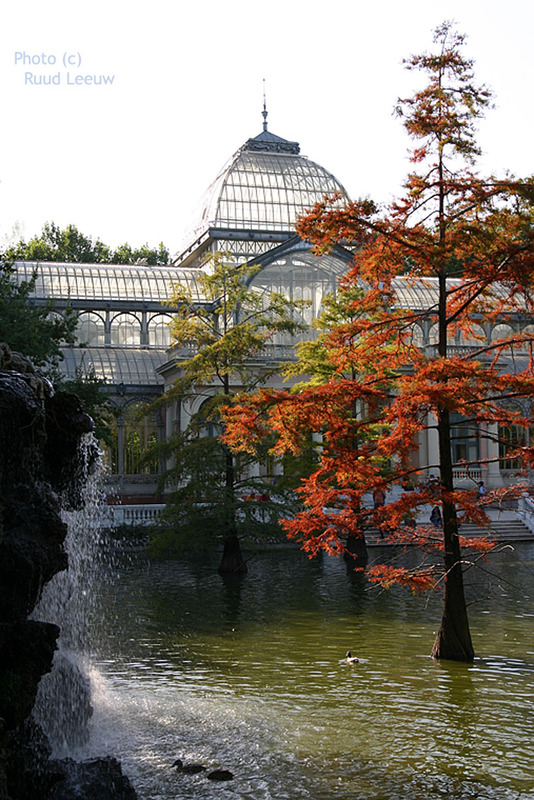 The Retiro Park used to be a royal park; it belonged to the Real Sitio del Buen Retiro Palace. 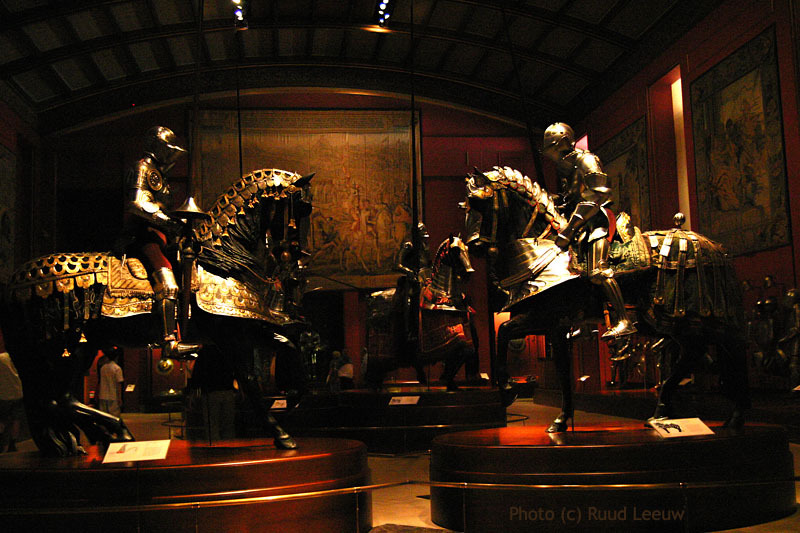 In 1632, the palace was built by King Philips IV as a retreat for the Royal family. Retiro stands for retreat, hence the name of the park and palace. At the time the park was well outside the city walls, but now the city has expanded beyond the park. The Retiro Park is located east of the city center, not far from the Prado Museum. 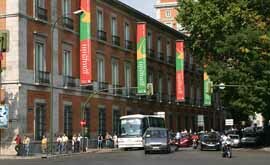 Near the park is the Paseo Del Prado and of course the Prado Museum. Personally I did not care much for the museum: too many portraits. 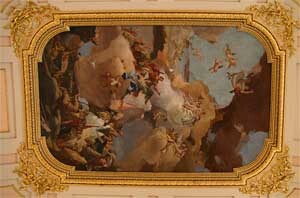 I prefer landscapes or sea battles and for this I found the Thyssen-Boremisza Museum more satisfying. 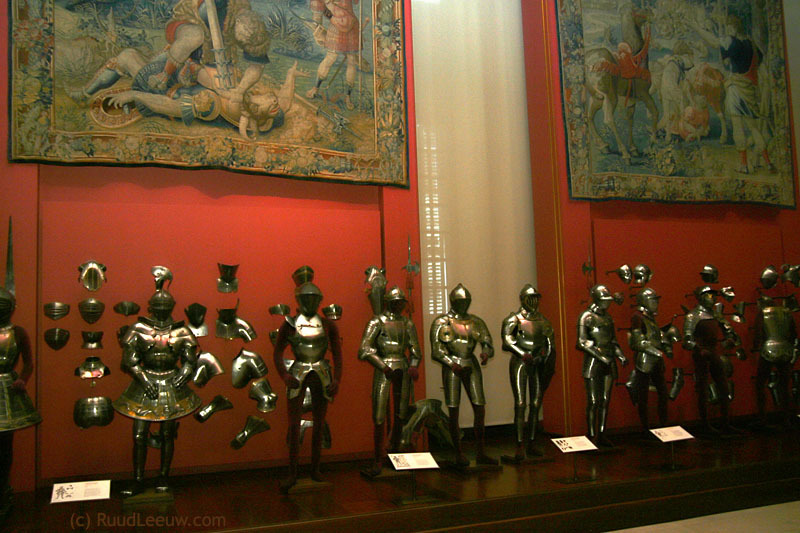 Compared to prices in my own country, the Netherlands, a visit in Madrid to a museum is not expensive. Another thing I found in the Prado Museum was that captions with the paintings were all in Spanish, not in English: a handicap. There is the audio device which one can rent, but I am too impatient to use these. This is the Plaza Cánovas del Castillo, on the Paseo del Prado. This is also the view from the Starbucks' terrace where we enjoyed coffee and sandwiches. 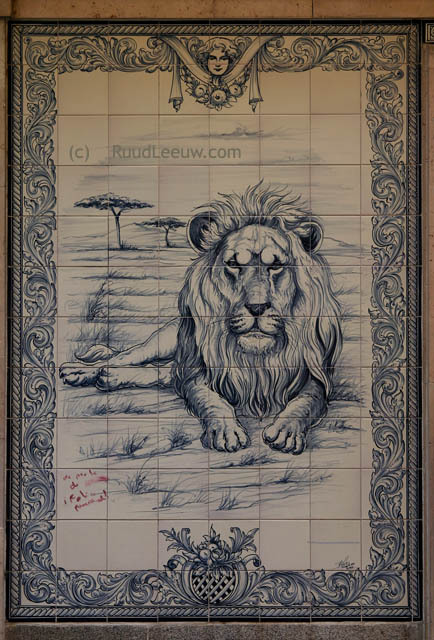 Beautiful tiles are commonly used as decorations on shops and buildings, but also as streetsigns: very nice ! 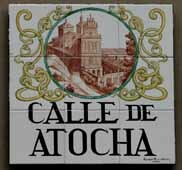 Our Hostal was on the Calle de Atocha, centrally located in the "Old Madrid" quarter. To give our tired feet some rest, we boarded the Madrid-Vision bus. These busses drive 3 different loops and have an open top. Tickets are sold onboard and are valid for the entire day or for several days. There are numerous stops to get off and get back on. I enjoyed the detailed ironworks on these buildings, but found photography from these busses not very easy: trees often block a view or smash you in the face ! Walking here one should realize its history: festivals, bull fights, trials by the Spanish Inquisition and executions: all took place here over past centuries ! 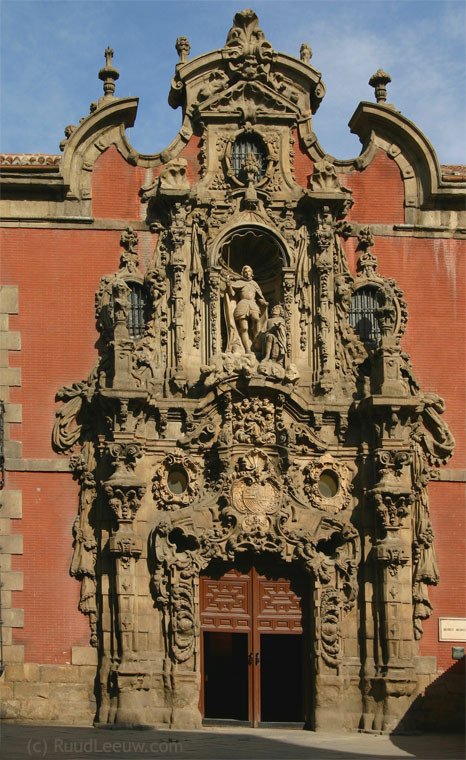 Building started in 1617 and King Carlos III made his entry here in 1760, arriving from Italy in a grand style. The statue is of Philips III and dates from 1616. But wining and dining is more expensive here and it is also the hunting grounds for con artists and pickpockets, beware ! 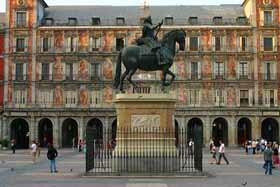 The square is enclosed by buildings and gives it a very private feeling. Gates, such as on the left in this photo, lead to other interesting areas of Madrid. But weariness does strike, in spite of the busses, the excellent subway system, as the many terraces will testify where tourists rest their feet in droves. 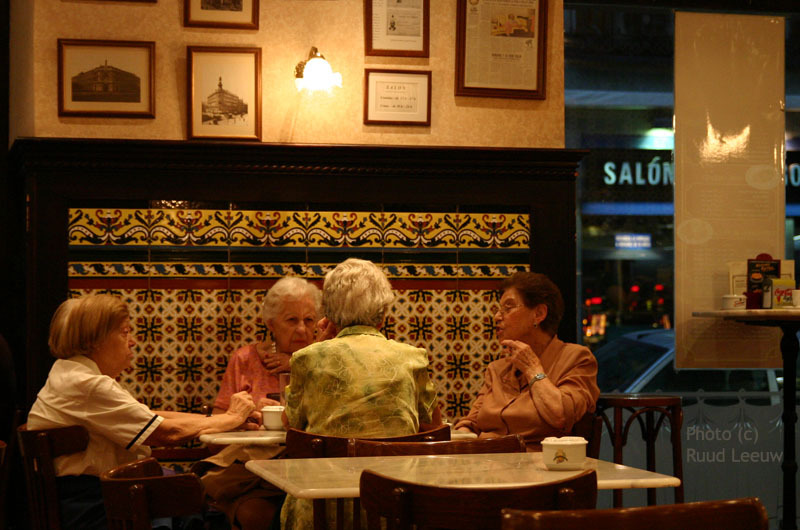 These ladies seem to enjoy themselves; I noticed many women in groups out on the town: the Spanish woman is apparently not to be kept at home and good for them. Spain is not exactly a country that comes to my mind as a modern EU country (my benchmarks: people speaking English or active on the internet). 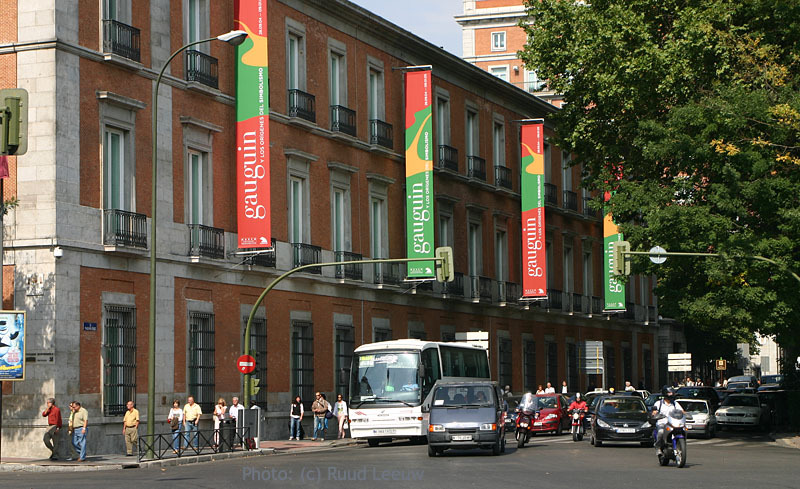 But I suppose in the Spanish-talking community worldwide, it does have a leading role and this visit proved to me Madrid is certainly very modern and the Spanish people know how to enjoy living. I enjoyed this visit so much more than the visit to Barcelona 2 years ago, where I found many presumptions confirmed in a negative sense. 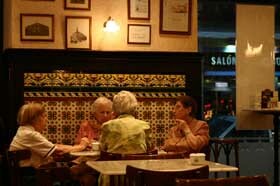 I found the young Spanish women very modern, vibrant and full of life! These early days in October still offered warm, sunny days and people dressed accordingly, the women using it to their full advantage. 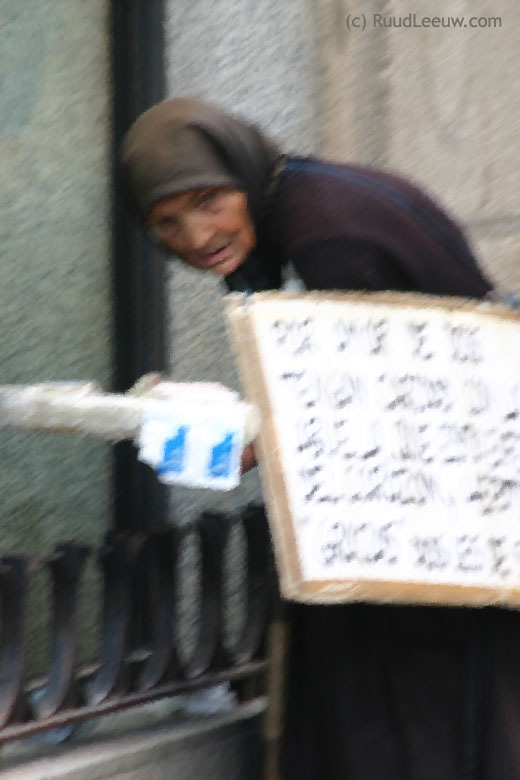 But in contrast to what I am used to at home, I saw relatively many people too, who were down on hard times. 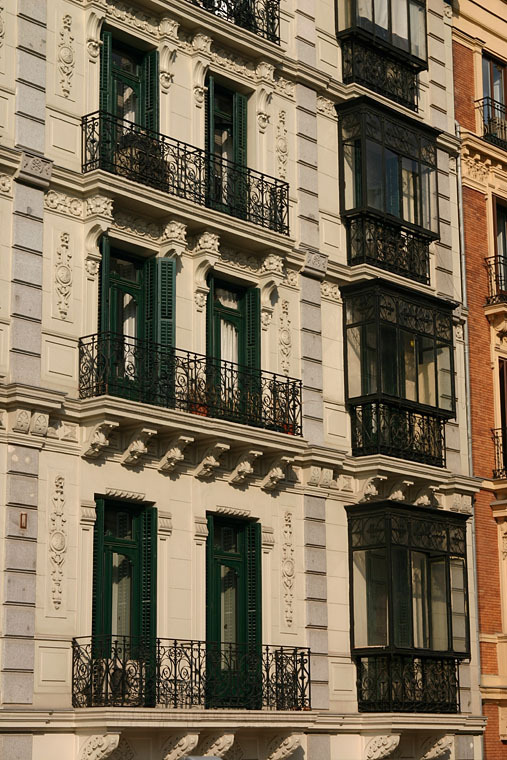 Madrid has impressive, majestic buildings to offer, but also simple and endearing insights. 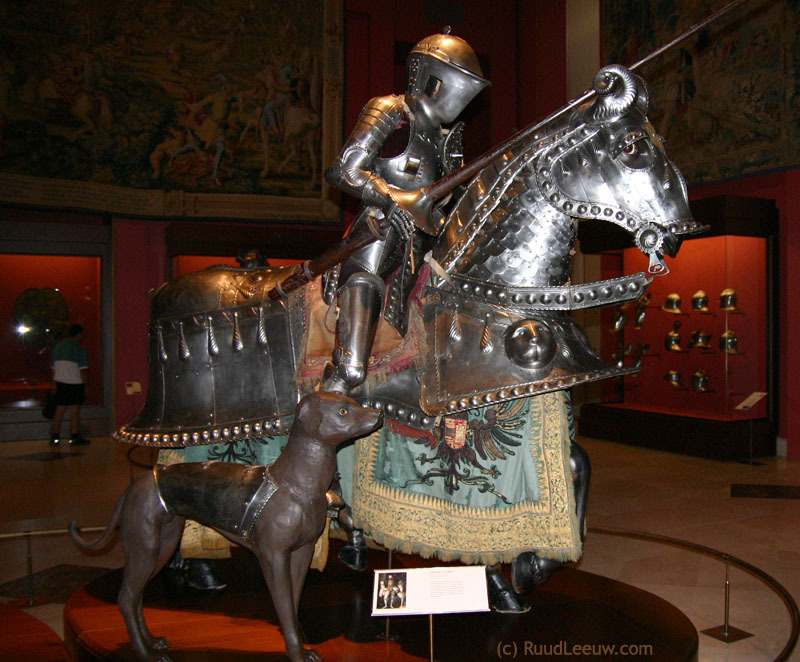 Another contrast of the majestic past (statue of Carolo III a.k.a. 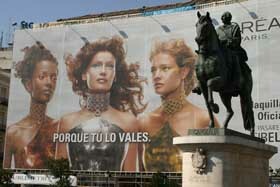 Carlos III, Rey de España) and Spain's modern consumer society. The Spanish love to eat and there is plenty to enjoy: tapas of course, though I prefer the larger portions, raciones; sausages in cider proved to be a favourite. And the tortillas (egg, patatoes and onions) made an excellent breakfast. With so many beautiful things to see and enjoy, there was only CNN to remind us of the mayhem in Palestina and Israel, and the fruitless search by the Americans for Weapons of Mass Destruction in Iraq: it all seemed too distant to concern us. 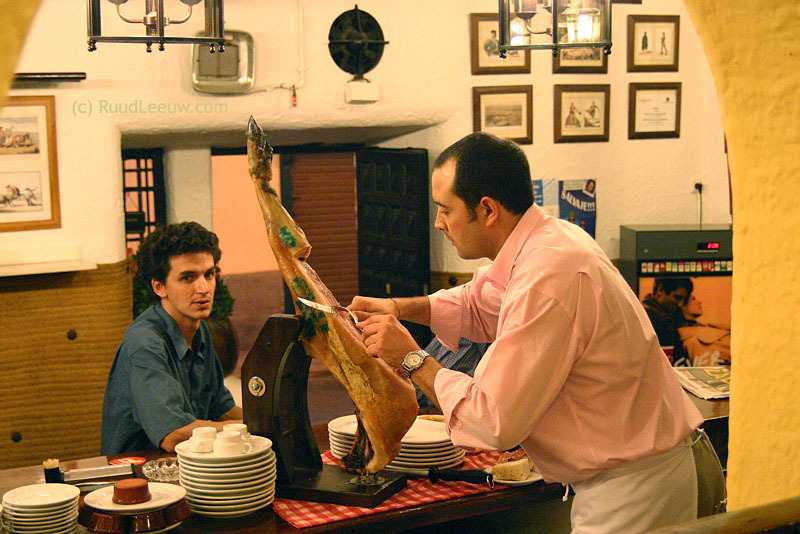 The waiter is seen here taking the customary tiny slices of the ham, while we awaited the arrival of our dinner. 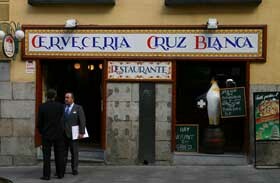 The Plaza de Santa Ana was near our hostal and offered many opportunities for an excellent dinner. Mercado de San Miguel. 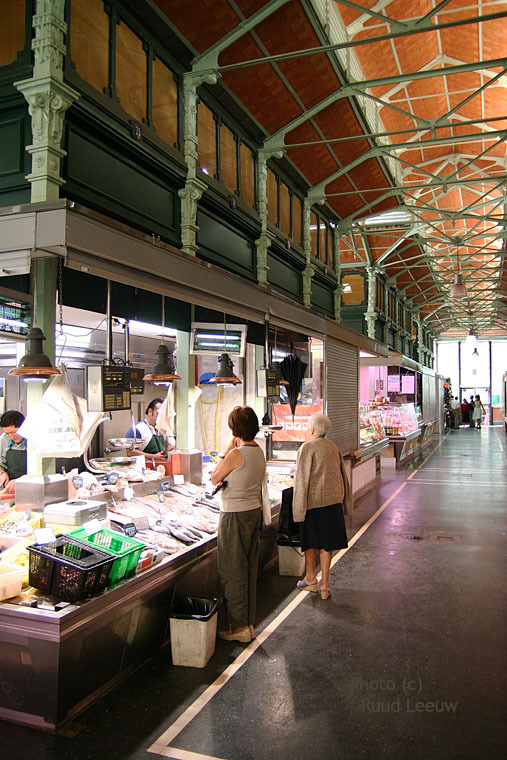 This market is a last example of an iron, covered market in Madrid. 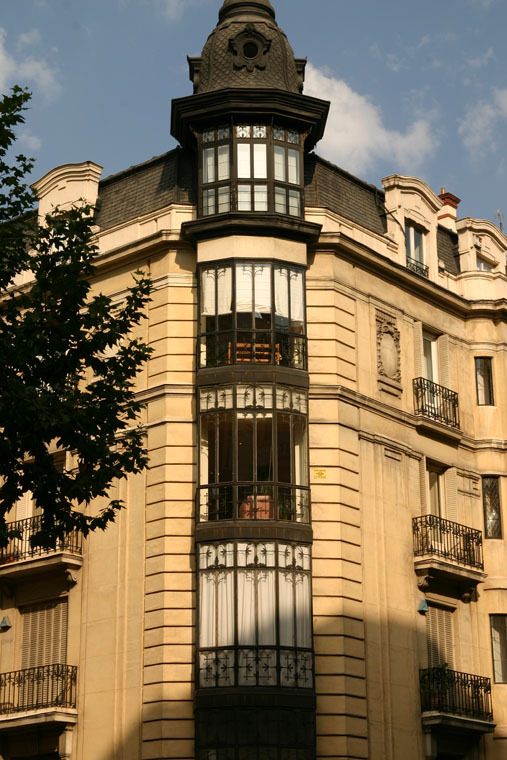 It was built in 1914-1915. Fresh produce is sold in this market, which is located in the centre of Madrid, between Puerta del Sol and Plaza de la Villa, not far from Plaza Mayor. The glass-front allows onlookers to see the fruits and vegetables, fish, meat, cold meats, seafood and other delicacies on sale. 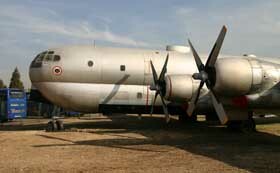 Its green-painted metallic structure is quite an architectural feature. But it is losing grounds to the supermarkets, as could be seen by the fact that several marketstalls were closed. Its opening hours are (were) Monday thru Saturdays, 09:00 - 14:30 and 17:00 - 20:30. "Old friends": the famous fruits of the writer Cervantes' (1547-1616) fiction, Don Quichot and his servant Sancho Panza. 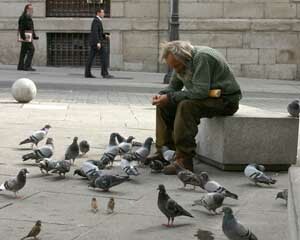 They can be found on the Plaza de España. On the right: the famous Navigator and Explorer Christopher Columbus (in Spanish: Colón) on the Plaza de Colón. On the left another photo of the above statue, including the writer Cervantes himself, looking over his creations Don Quichot and Sancho Panza. 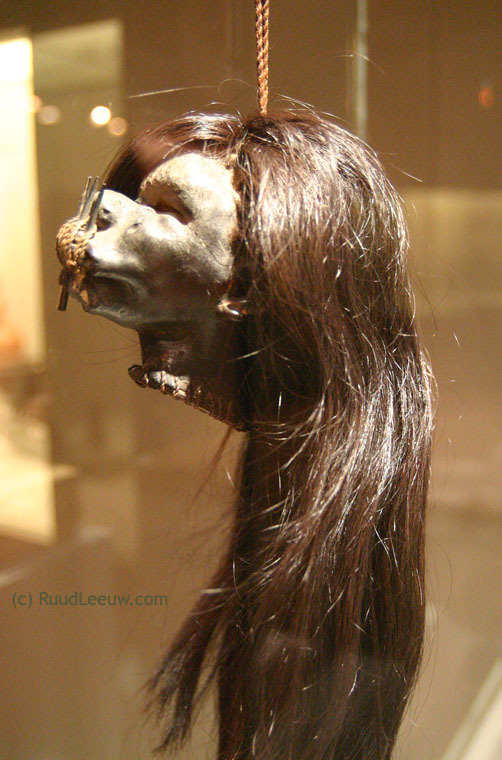 Another museum we did visit was the Muséo de América geweest. 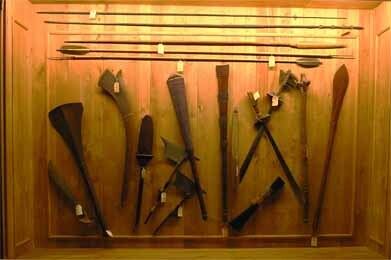 This museum has exhibits on display from the Spanish-American colonial past. A very interesting museum, which we enjoyed immensely. 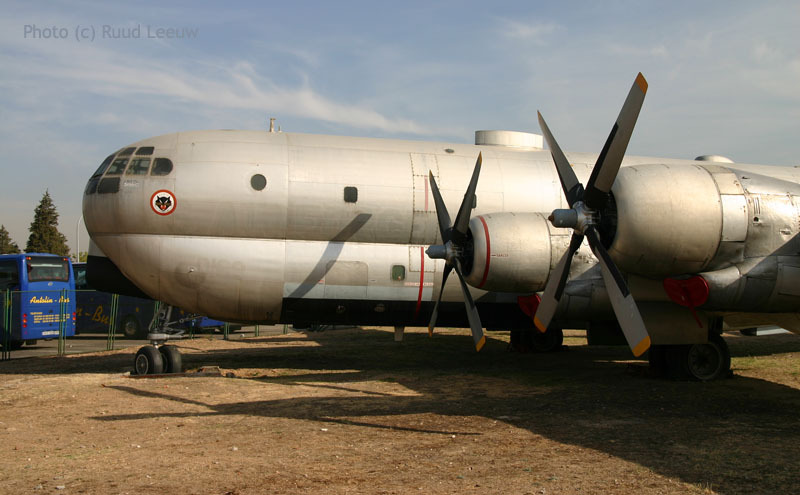 For those who know me it will be hardly a surprise I found some planes to photograph: the Museo del Aire. 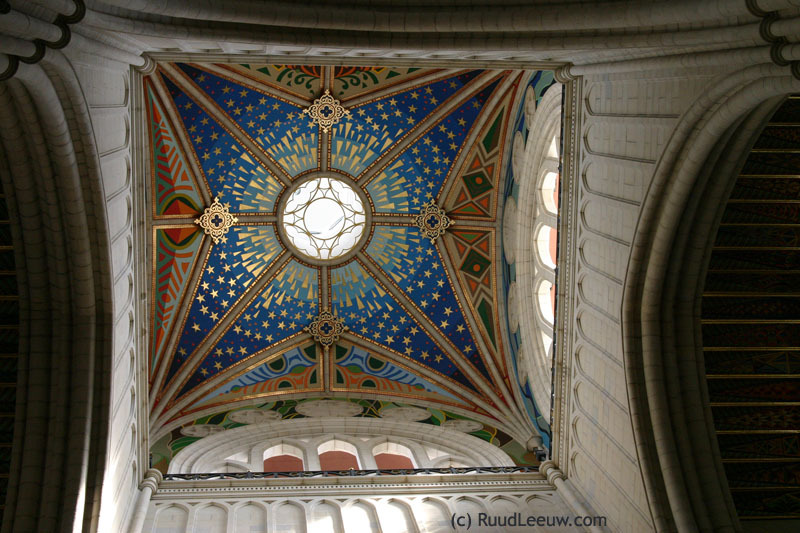 The Catedral de la Almudena has that special quality of cathedrals, you immediately look upwards (towards heaven) and freeze in your tracks, in awe ! Building started in 1879. 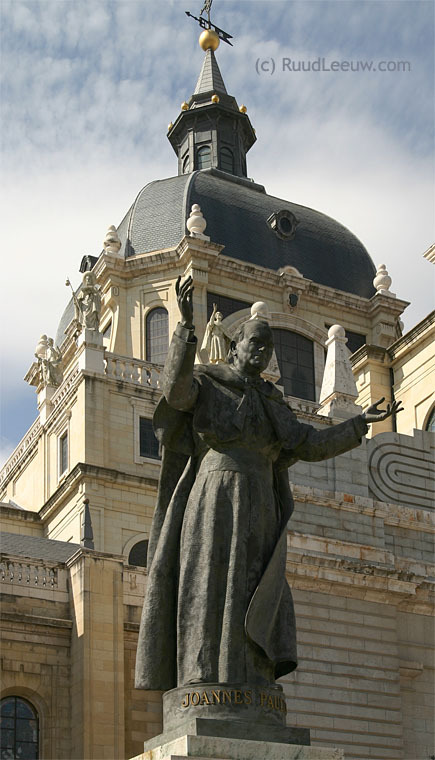 Pope Leon XIII approved the creation of the Madrid-Alcalá Diocese, stating that the Almudena temple should be its future cathedral. But completion was reached only in 1933. Outside is a statue of present-day Pope John Paul II. 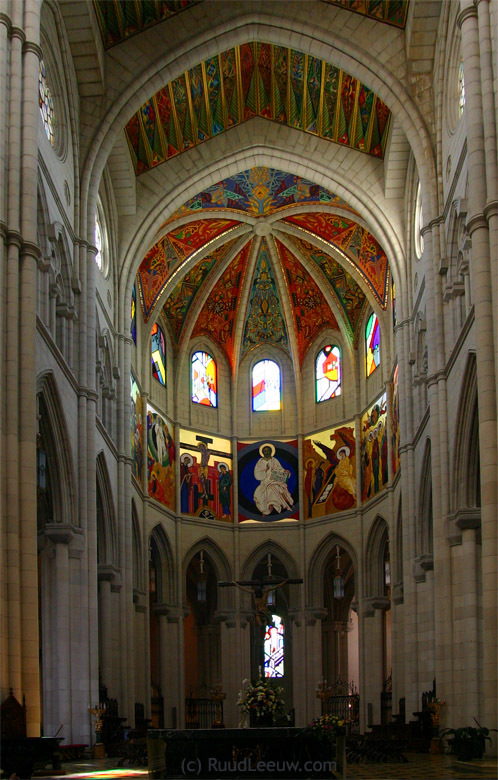 On the 15th June 1993, His Holiness John Paul II consecrated the cathedral on one of his official visits to Spain. The Cathedral is located next to the Royal Palace. 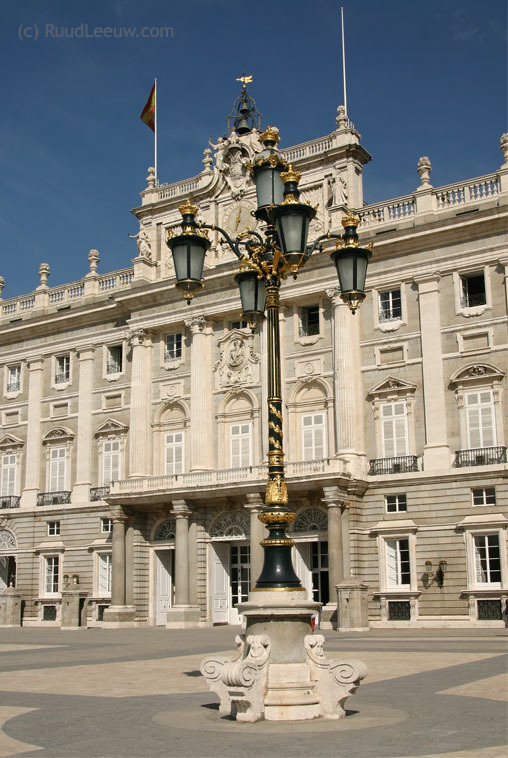 Palacio Real, the Royal Palace. It was built to impress and it certainly does ! Centuries ago a fort, the Alcazar or old Moorish Castle, was located here, but it burned down in 1734 and King Philip V ordered to resurrect something majestic from the ashes. And this time it was built from limestone and granite, to make it fireproof. 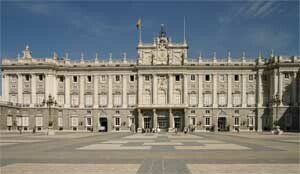 The present King, Juan-Carlos I, lives in a more modest palace, the Zarzuela Palace outside Madrid.. 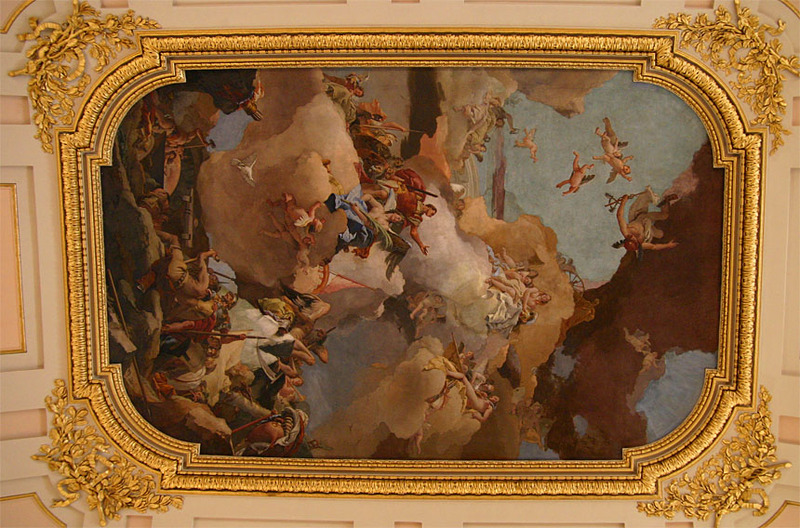 The rooms are lavishly decorated; below is an example of one of the many ceilings painted, it concerns the Halberdiers' room and depicts Venus entrusting upon Vulcan the task of forging weapons for Aenas. 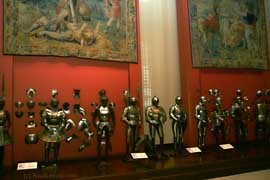 The palace also houses the museum of the Royal Amoury ("Real Armería"), with a fantastic collection of arms and suits of armour (ranging from early primitive examples to richly engraved, chisseled and embossed... the phrase "dressed to kill" springs to mind...?!). 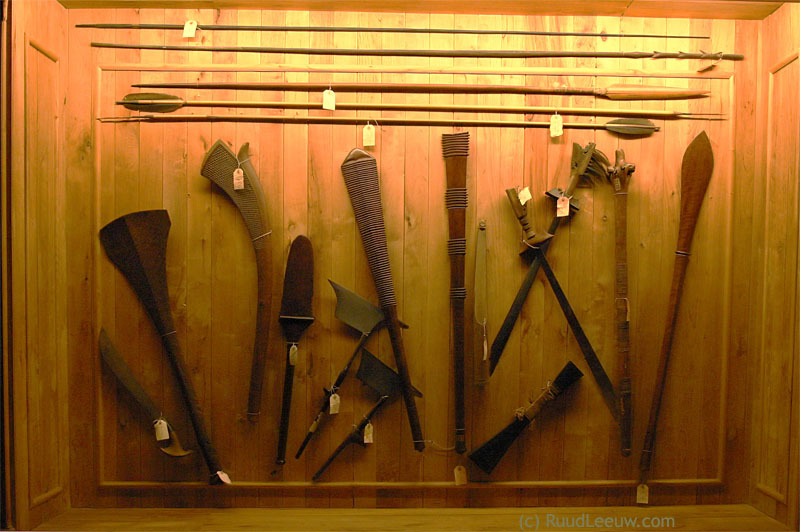 The collection is the most important armoury in Europe together with the Imperial Armoury in Vienna. 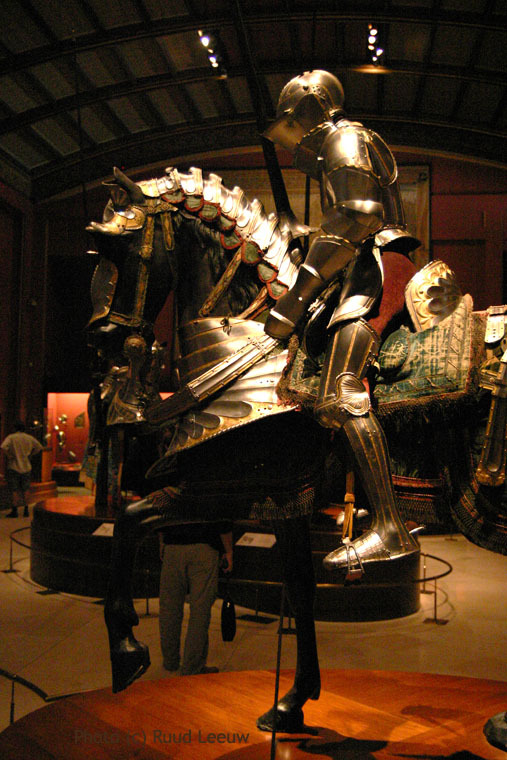 The collection has been open to the public for over 4 centuries. 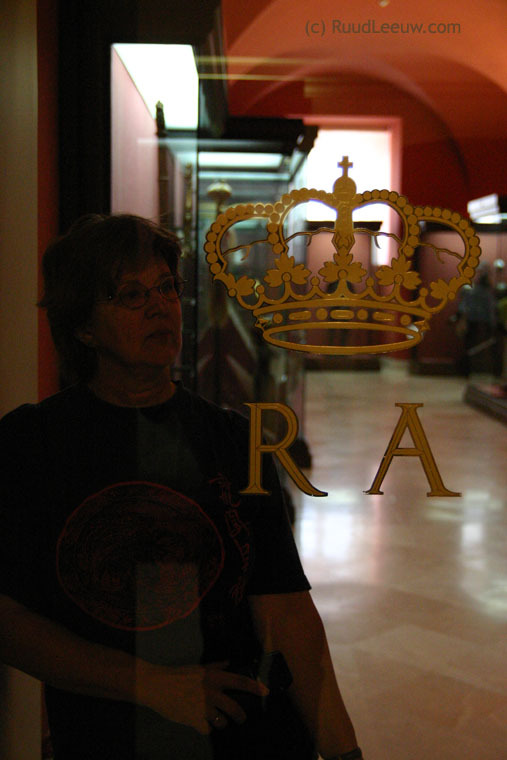 Ada is pleasantly surprised that the Royal Palace apparently had expected our visit: R and A would signify Ruud and Ada ??? 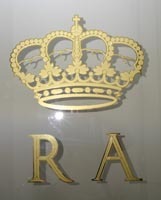 Alas, it would seem that R and A means Real Armería. Still, it would look nice on our frontdoor at home, wouldn't it. ? ..........................this is where it ENDS ! Madrid, travelguide by "Capitool Reisgidsen" (Dutch) and Guide Palacio Real by J.L.Sancho. 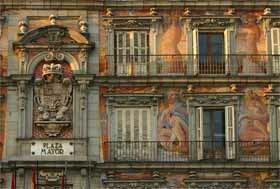 City Guide: Madrid.com, helpful in planning your stay in Madrid.